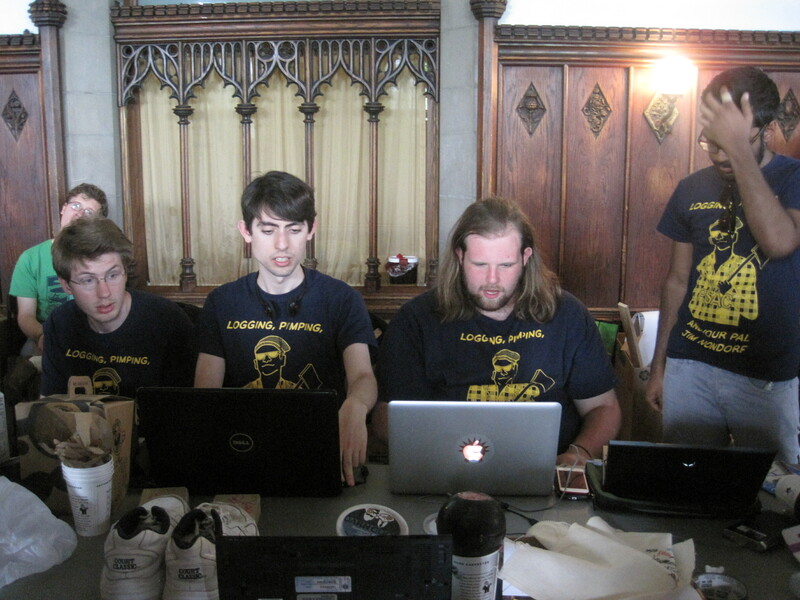 I served as a captain for the Maclean House Scav team, formed in 2014. 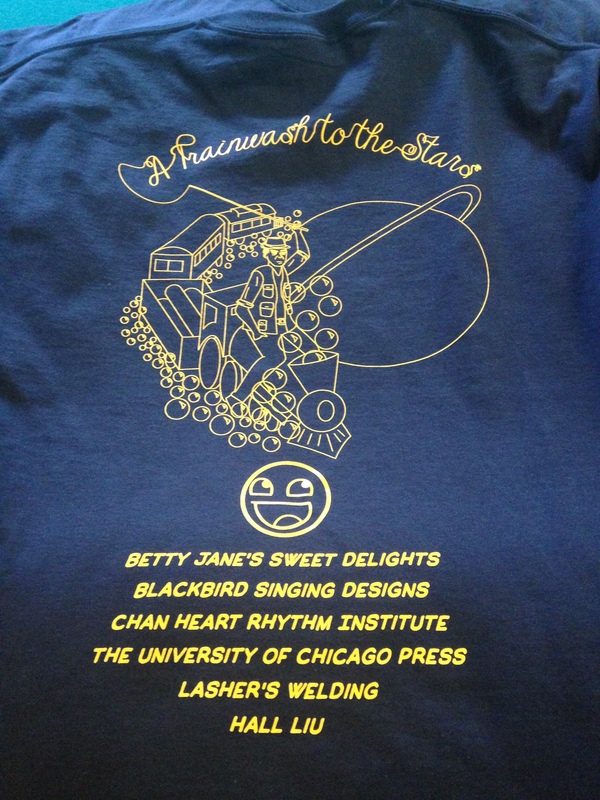 As captain (one of four), my duties included: being a figurehead, not sleeping, and organizing 30+ UChicago students to make as many silly items in four days as possible. I also designed a team T-shirt and maintain the team Tumblr. 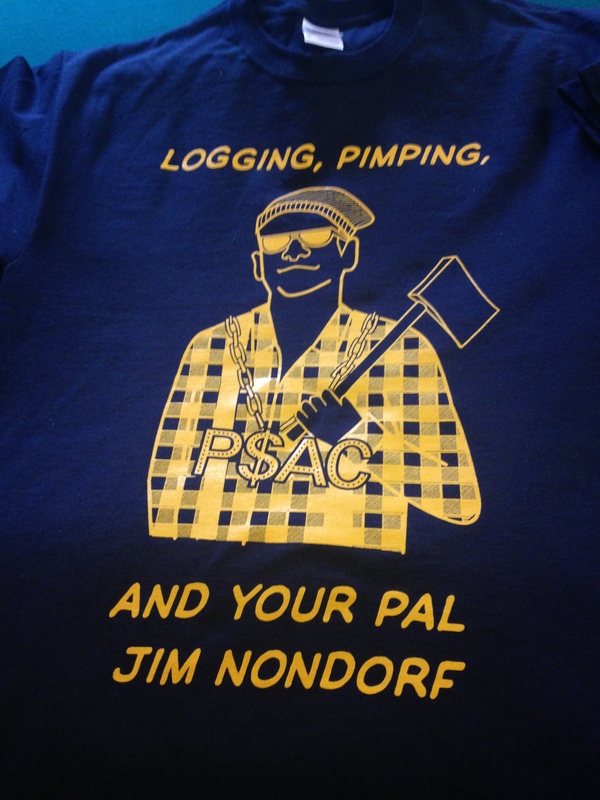 Our team name this year was “Logging, Pimping, and Your Pal, Jim Nondorf,” so named because 1. 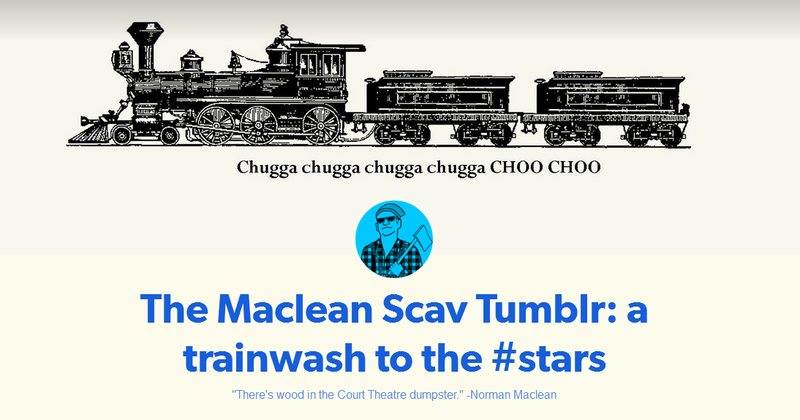 “Logging and Pimping and ‘Your Pal, Jim'” is a short story written by Norman Maclean, our dorm’s namesake, and 2. Jim Nondorf is UChicago’s dean of admissions. 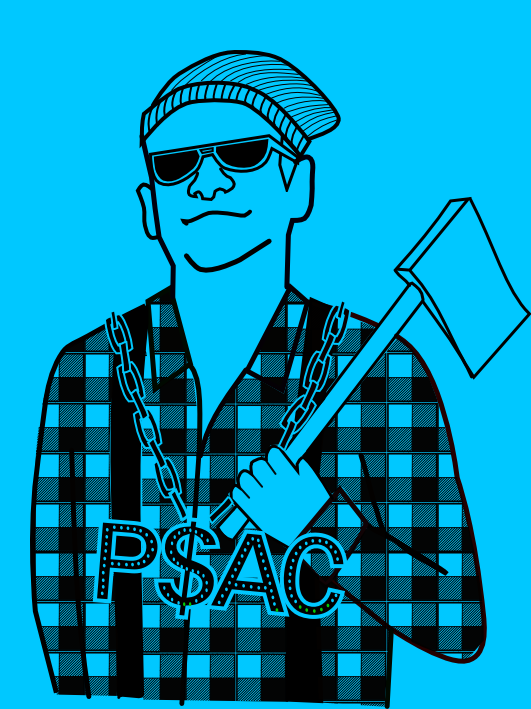 Accordingly, I vectored Jim Nondorf as a lumberjack pimp.